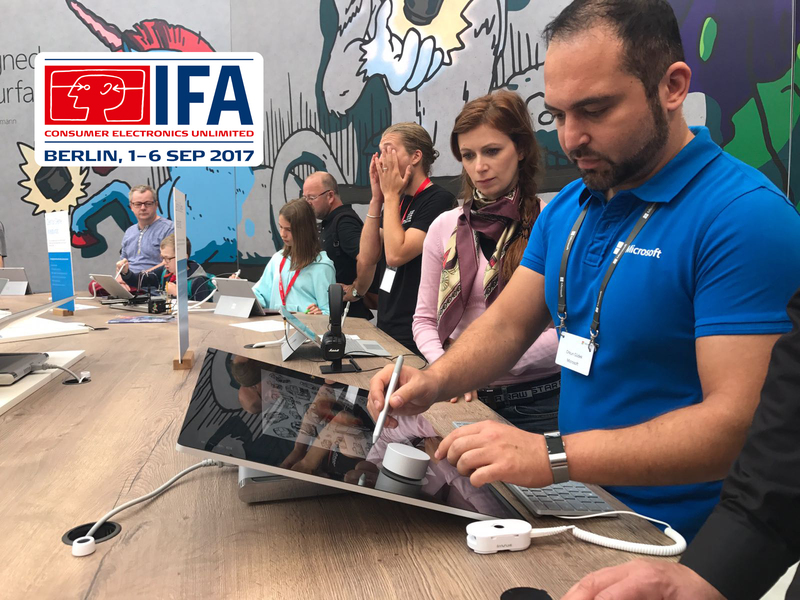 IFA Berlin, one of the world’s biggest consumer technology trade shows, is now under its way. There’s so much to see. But which announcements and products will really move the needle? After attending Mobile World Congress in Barcelona we are visiting Stimulo clients, exhibiting their last innovations at the Berlin fair. For our team it is an opportunity to be at the cutting edge of or R&D evolutions and coming trends. Only a few years ago we used to visit IFA for home appliances and white goods, but recently, however, IFA has expanded and it’s now a serious competitor to its American counterpart, CES Las Vegas. From a design point of view it is interesting to discover connected fridges freezers and robot vacuum cleaners “living” together with a smartphone without hitting a piece of high-end audio gear, laptop, TV, or brand new phone that will call to your wallet like a mermaid on the rocks. Taking as a reference tech blogs like techradar.com a couple of big hitters have already announced new products, including Fitbit and its Fitbit Ionic smartwatch as well as Panasonic’s addition to the smart speaker market, the SC-GA10. Besides that there have been a ton of rumours about next-gen TVs, wearables and about a billion speakers with voice control. You will love it if you are interested in Wi-Fi fridges to smartphones, giant companies like Samsung to first-time start-ups! We are sure Ramon Martinez, stimulo Strategic Director, will share more insights soon.